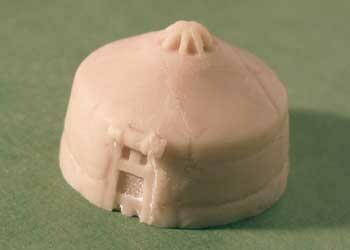 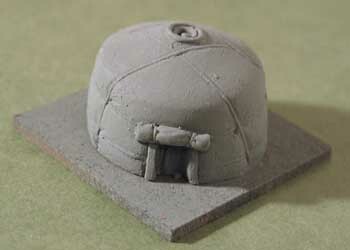 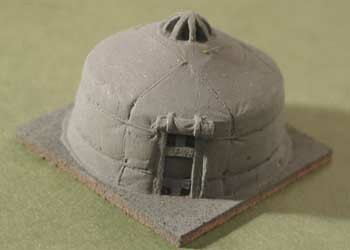 15mm Mongol Yurts AVAILABLE NOW! 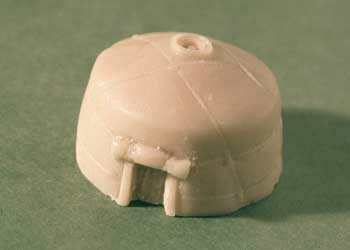 This yurt (more correctly called a "Ger") is designed to be used as a baggage element for any steppe army and fits on a standard 40x40mm DBM baggage base. 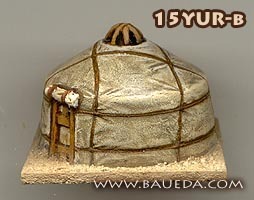 15YUR is available in three finish: simple plain cast, as it comes out of the mold; cleaned and primed, based and ready to paint; or as a finished DBM baggage element, painted, based and flocked to the very same standard you see in the picture! 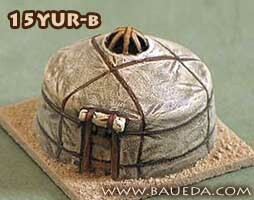 This yurt is a larger, somewhat fancier type, and has a woodframe door and central dome. 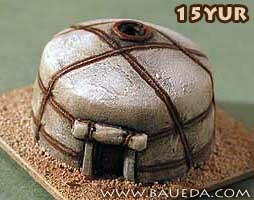 It can be used mixed together with 15YUR as a Nobles élite or commander's tent of an earlier period, or instead of it for a later army. 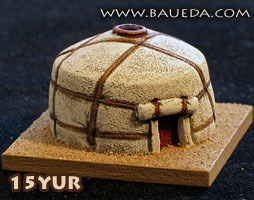 15YUR-b is available in three finish: simple plain cast, as it comes out of the mold; cleaned and primed, based and ready to paint; or as a finished DBM baggage element, painted, based and flocked to the very same standard you see in the picture!